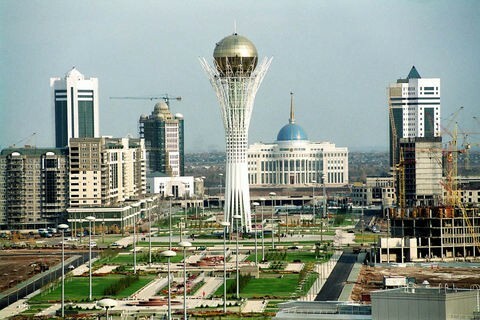 Astana, the capital of Kazakhstan, will host the 2019 edition of Routes Silk Road, the route development forum for the CIS, Central and Eastern Europe, Middle East and Central Asia. Routes Silk Road 2019 will bring together key decision makers from the region’s airlines, airports and tourism authorities. As a transcontinental country spanning both Europe and Asia, Kazakhstan is the prevailing nation in Central Asia, generating 60 percent of the region’s GDP. 2018 saw Astana celebrate its 20th anniversary as the capital of Kazakhstan. As one of the world’s few ‘planned capitals’, Astana is a remarkable city with futuristic architecture. Positioning itself as a centre for important national and international events, the city promotes sustainable development while facilitating trade and developing as a financial centre for Eurasia. The return of Routes Silk Road is a result of the combined bid of The Mayor’s Office of Astana City, in collaboration with The Astana Convention Bureau, who submitted a strong proposal for the event to return in 2019. Helena Mahuas, Deputy Director of the Astana Convention Bureau said: “The Astana Convention Bureau is excited to host this prestigious event and welcome all participants to our wonderful city. Astana is growing at a tremendous pace and this is an important and timely event on our journey to develop Astana into a leading business and convention destination in Central Asia. As part of the “Nurly Zhol” economic stimulus plan, introduced by Kazakhstan’s President Nursultan Nazarbayev in November 2014, $9bn has been injected in to the country to plan and develop infrastructure and education within the Republic of Kazakhstan, with more than $40bn worth of projects expected to be implemented by 2020. Nurly Zhol is designed to turn Kazakhstan into a key Eurasian transport and logistics hub, and as part of this, a new international airport terminal was opened in 2017 with capacity for 8 million passengers per year. The return of Routes Silk Road has been praised by IAT, which will be supporting the event. Air Astana has been named the official carrier, with Peter Foster, Air Astana’s president and CEO, scheduled to speak. Routes Silk Road will take place 15-17 July 2019.